Most people who dream of full time RV living are quickly overwhelmed when they start to think of how to actually make it happen. 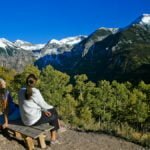 Jobs, families, debt and more become massive roadblocks for planning a trip that lasts beyond a few weeks, and these concerns are justified. 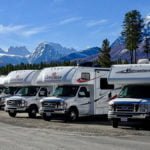 Proper planning can remove these obstacles and open the possibility of full-time RV traveling. Full time RV Living & Traveling – Is It Realistic At This Point In Life? 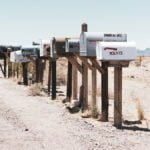 The first important question one needs to answer is whether or not traveling and basically living in RV full-time is a realistic possibility within the next six months. School, pregnancy and medical conditions are obvious events that would make traveling in the immediate future difficult or impossible. Less obvious factors include financial debt, children, dogs, and other life planning that might take precedent. However, people travel under the above-mentioned factors and so it all comes down to personal preference. Creating a mission statement or specifying a goal for the trip helps with most of the remaining questions. 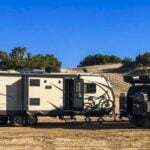 Will the trip focus on off-roading, boondocking, and dry camping? Will it be spent weeks at a time in one spot? Does having a tow car make sense? Is vehicle maintenance on an older rig a concern? These are all key to shaping what the rest of your planning will look like. Now that the trip is a possibility and some of the key questioned are answered, planning the trip is now possible. How many people and pets will be traveling in one vehicle? Is the vehicle an RV, van or even a boat? When is the earliest date the trip can begin, or when is the ideal date of departure? Determining sufficient cargo space: how many bulky items will be carried? Kayaks, big coolers, your children’s ride on toys etc? The great part at this point in planning is it’s all just been a thought experiment and there are no commitments. This continues to be the case, usually until the first big purchase is made: The vehicle. 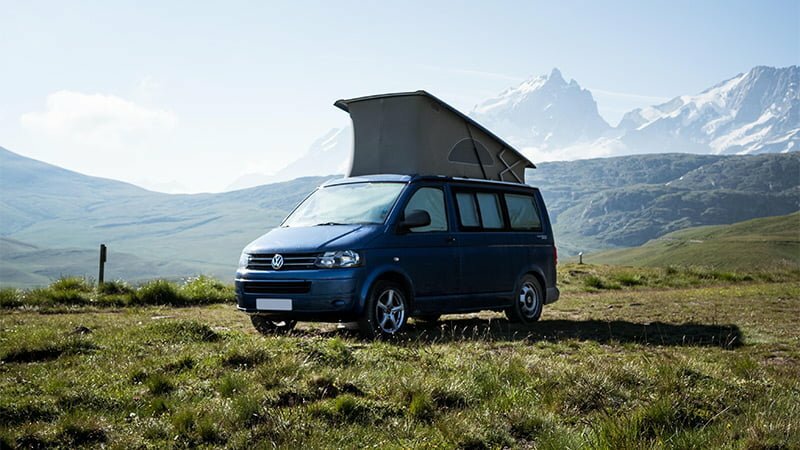 If the group is small, a van is a versatile, cost-effective approach to the full time traveling lifestyle. Van dwelling, as they call it, is an increasingly popular option for wanderers. 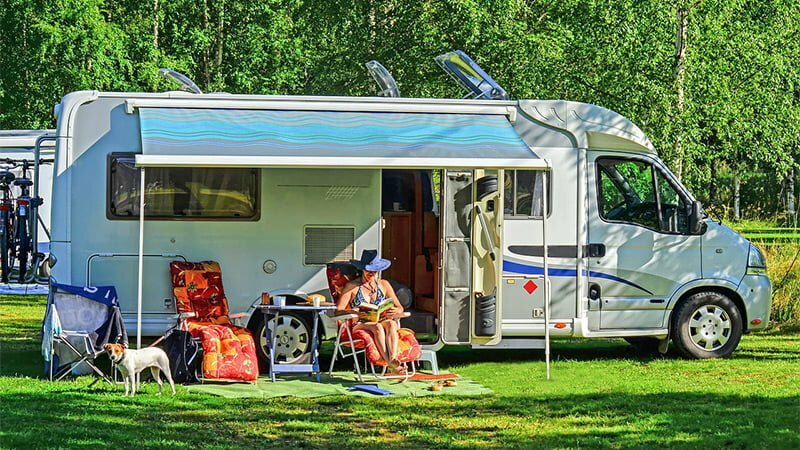 For bigger families or groups, an RV might be the best bet with added room and more of a home feel. Determine a monthly budget threshold for rent and utilities. RVs allow for a more spacious living, but the cost scales up as luxury and space increases. Once someone has purchased the vehicle, the dream becomes more of a reality, but still not a commitment. For the remainder of the article, the details will center on a specific setup: the RV and tow car. The three main options for towing a vehicle are flat-towing, dolly, and trailer. The type of tow-vehicle usually determines which type of towing apparatus. Flat-towing offers the most flexibility and ease in terms of hooking up and disconnecting. RV tow capacity, hitch rating, tow-vehicle curb weight, to list just a few factors to consider, should be studied extensively before making purchases. If working on the road is a necessity, then internet and cell service will be critical. There are many options to choose from and the technology for working remotely continues to grow. For nationwide coverage, Verizon continues to be a strong choice for cell service, which will most likely become the source of wifi for the RV through a hotspot. Additionally, boosting the cell signal is required if there are work deadlines. When the trip departure date is over a month out, notifying your place of employment and landlord, if applicable, will need to be planned. For employment, notice should be given as close as professionally possible to the departure date. For landlord or rental agreements, contracts should be reviewed several months before the departure date to eliminate any surprise conditions that might hold up the departure date. An example of this is some contracts require that you give notice on a certain calendar day and, if missed, the 30-day notice cannot be declared until the next month, hence extending out the contract end date. When the inaugural beer-cracking commences, the newly-minted traveler can celebrate all the hard work that led them to this point and the life-changing journey ahead. 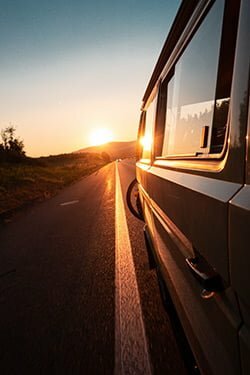 There are many variations on how the trip will look, but many of the topics above are mandatory stepping stones for getting out of the grind and on to the open road. 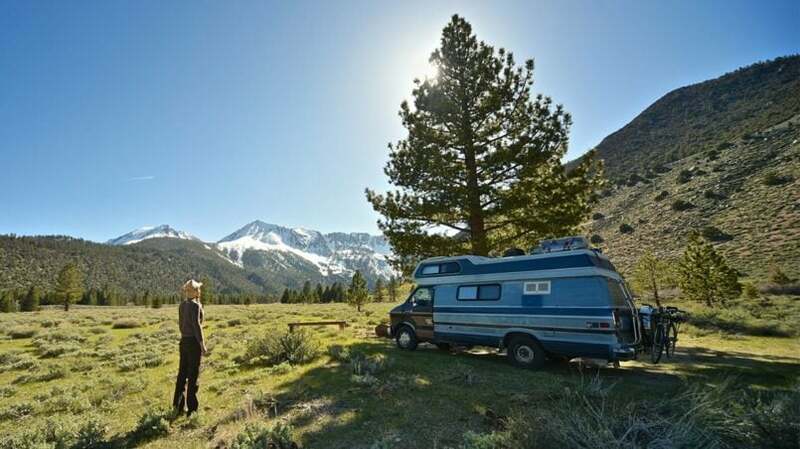 TIP: As your dream about full-time RV living and traveling will finally come true, you may want to visit one of the coolest places in California – Lake Skinner Park. We like this place a lot. 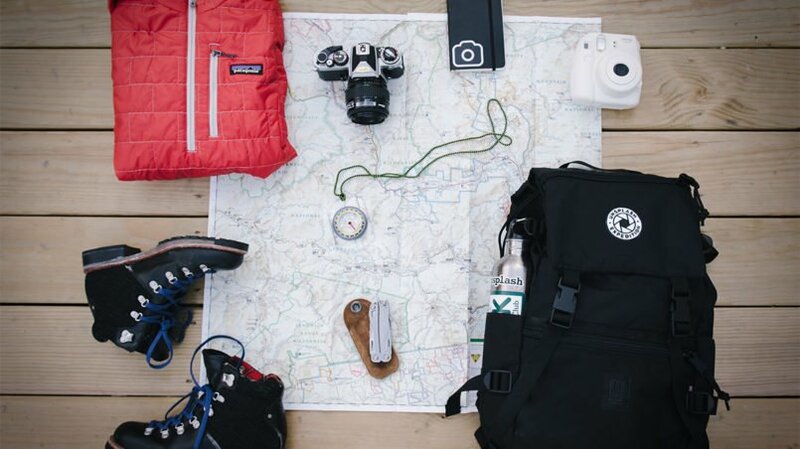 One of the most important things is to make sure you are properly prepared for the trip. There are a few items that are essential to bring whenever camping is concerned. Below you will find a list of things that we consider as absolutely necessary – our camping must-have gear. However, use your discretion, some are more necessary than others. 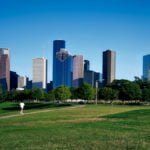 We, at TravelingUSA.com advise you take serious precautions to make sure you have everything you need and that all your equipment and gear works well and will withstand nature’s curveballs. The first thing you do when you get to your campsite is make sure the area is clear and take out any trash that someone may have left there (trash on ground = animals in the campsite). Set up your tent so you can put your things away; and after that, make sure you have enough firewood to last the night. The rest of what you do is up to you; enjoy yourself. Know where to find help, should you need it. Help is a lot more obvious when you are camping at a commercial campground, but when you really rough it, it is important to know where the closest form of civilization is (or a park/forest ranger, or simply 911). They are a wonderful commodity and are very helpful if any problems arise. Have fun out there. 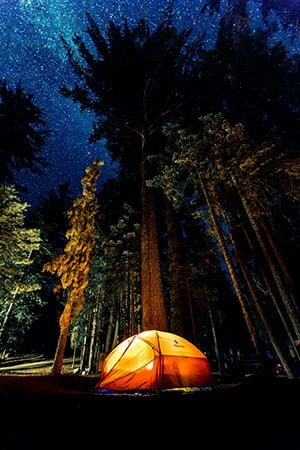 One of the most beautiful things about camping is that it is, primarily, going back to basics, so enjoy yourself. Relax! 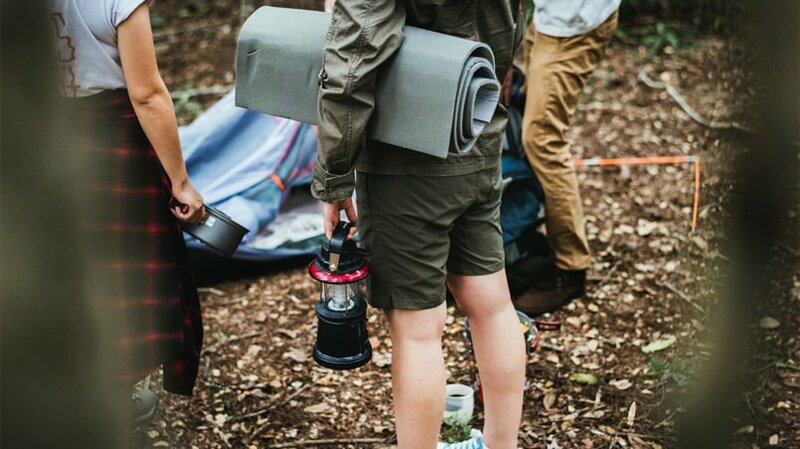 With the basics, and our list of must-have camping accessories you will be fine. Just get out there and figure out why camping is one of the top forms of recreation. Camping can be the fun and active adventure, or the calming getaway you desire.